PACK SIZE: The bottle contains 100 ml. 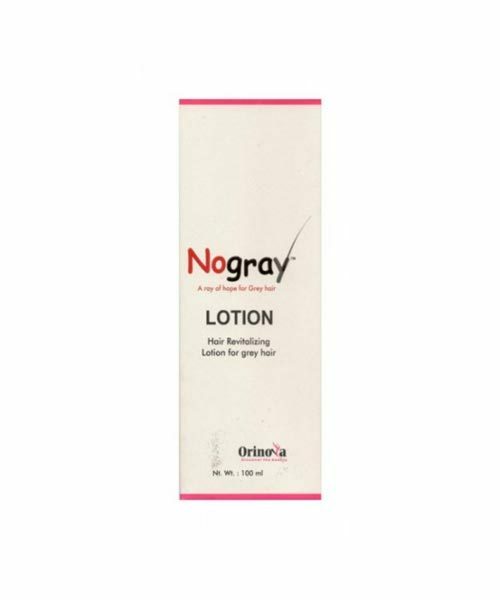 FEATURES: Nogray lotion is an effective formulation of Azadirachta Indica extract, Phyllanthus Emblica Extract, Murray Koenigii Extract, Eclipta Alba, Stearic acid, Glycerin, Aloe Vera, Jojoba oil, Grape seed oil, Rose merry oil, D-Panthenol & Psoralia Lucifera for Prevention of Premature Graying of Hair. 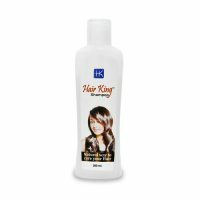 Prevents Premature Graying of Hair, Hair fall and enhance hair growth. It tones up the liver, eliminates toxins from the body, and thereby brings back the healthy growth of tissues including hair. Its tonic action eliminates toxins and tones up the scalp. Amla as it is known in India is also used to treat hair disorders like premature falling and graying. Helps to keep the system cool by virtue of its refrigerant property. As an oil extraction it helps to the healthy growth of hair. It stimulates hair follicles thus promoting hair growth and also improves texture of the hair. Prevents premature graying of hairs and dandruff. Has been in used traditionally for good hair growth and for the treatment of premature graying of hair. Controls hair loss and stimulates Luxurious hair growth. 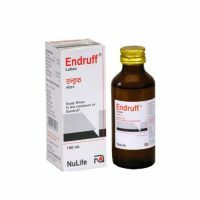 Prevents dandruff, itching and seborrhea associated with dry scalp. Excellent for texturing rough, brittle hair with split ends. Is an excellent cleanser for the scalp. Removes sebum from the scalp and prevents follicle blockage. Delays aging through its unique anti-oxidant properties which protect the hair and scalp from free radical damage. Makes hair shinny, thicker, and more manageable. Keeps hair and scalp healthy. Eliminate dandruff, clean the scalp and hair of impurities. Helps to prevent dandruff and ease an itching scalp & helps to slow down hair loss. If used regularly, it strengthens thin hair and softens thick hair. Shake vigorously before use. 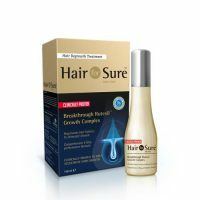 Apply 1 – 2 ml (14 to 28 drops) to the affected & surrounding areas of scalp. Twice daily. Gently massage into the entire scalp for few minutes preferably apply at night. Allow 10 second to dry then style hair as usual. Don’t wash hair for at least for four hour. For best result use daily in conjunction with NOGRAY Capsule. Orinova – Origo Pharmaceuticals Pvt. Ltd.